Six different kinds of aromatic herbs and citrus fruits –anise, coriander, lemon, orange, mastic and angelica root– combine to produce this balanced distillate with the robust aftertaste of anise. 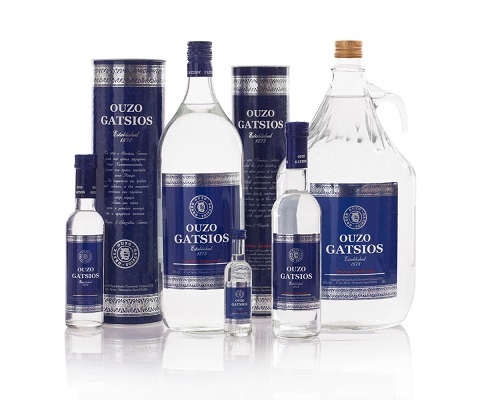 Ouzo Gatsios with the blue label. From the recipe brought from Istanbul by the founder of the distillery. Try it neat or with ice, with or without water.